By BRC Infra Pvt. Ltd. Knock the door of the future. A brand new world is waiting to be discovered near Gachibowli. A comprehensively designed premium gated community is all set to give its residents a lifestyle measured in joy. BRC Sri Hemadurga Siva hills is an ambitious project by experienced promoters in sync with world class development around ORR, Gachibowli in Hyderabad. Sree Hemadurga Siv Hills - B&G, is a residential APARTMENT Project is located at Puppalaguda, Hyderabad. Property adviser team started following Sree Hemadurga Siv Hills - B&G from 06 Jun 2016. 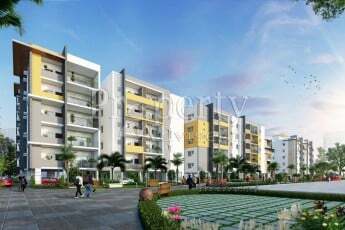 This APARTMENT has 2BHK, 3BHK Flats with total built-up area ranging from 1230 Sq. Ft to 1755 Sq. Ft constructed by BRC Infra Pvt. Ltd..
Out of 344 units, 3 units are available. It is a Fully Gated community that is in an occupancy of Ready. The price of the APARTMENT ranges from Rs. 59.9 Lakhs to Rs. 83.5 Lakhs at Rs. 4500/- Price per square feet. Till now, our team visited Sree Hemadurga Siv Hills - B&G 34 times. Our most recent project visit was on 15 Apr 2019 when we collected details about price changes, available units and took photos showing the progress of construction, materials used, and so on. So far, the project has 181 photos starting from the early stage of construction till the date of possession. There are photos of the street view, flat floor view, elevation, roads, parks, and so on. Property Adviser Team will revisit the project on or before 09 May 2019. This Project is approved by HMDA, which is spread over an area of 8 Acres land area with total of 12 Floor. Sree Hemadurga Siv Hills - B&G project has Bank Loans available from HDFC, LIC, SBI, ICICI bank(s). No GST : No GST Avail Zero GST offer on Ready Possession units. 2BHK East facing flats are available with 0 units for sale out of 48 units. 2BHK East facing flats are available with 0 units for sale out of 20 units. 2BHK West facing flats are available with 0 units for sale out of 48 units. 2BHK West facing flats are available with 0 units for sale out of 20 units. 3BHK East facing flats are available with 0 units for sale out of 4 units. 3BHK East facing flats are available with 2 units for sale out of 20 units. 3BHK East facing flats are available with 0 units for sale out of 8 units. 3BHK East facing flats are available with 1 units for sale out of 84 units. 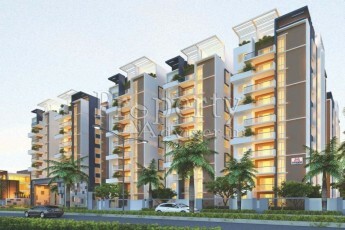 3BHK West facing flats are available with 0 units for sale out of 8 units. 3BHK West facing flats are available with 0 units for sale out of 84 units. The Sree Hemadurga Siv Hills - B&G project is elegantly designed with modern amenities such as Swimming Pool, Yoga & Meditation Hall, Childrens Play Area, Car Parking, Gym/Fitness Centre, Volleyball Court, Vastu Compliant, Multipurpose Hall, Solar Fencing, Power Backup, Indoor Games, Spa, and so on. The apartment has all the modern amenities that will ensure that you don't have to step out of your apartment to enjoy all these facilities. 181 Progress Photos from Last 34 Months are Available. Till now the project is updated 34 times and has 181 construction photos with street view, flat floor view, elevation, roads, parks etc. The residential project is located at Puppalaguda, Hyderabad. Avail Seller Contact Details on one click to get your dream home site visit. This Project is constructed by BRC Infra Pvt. Ltd., reach seller by Contacting to Ravinder. You can reach them on these numbers or visit them to view model flat and finalize your dream home.